Two of the teams without a victory in the Balkan League so far - KB Bashkimi and BC Akademik Bultex 99 will meet tonight in Prizren. The match will start at 19.30 hrs local time and will be broadcast LIVE on YouTube. Both sides will be looking to get their first win of the competition and will fight hard to achieve it. The hosts will again count on Jordan Capps and Michael Martin who have been their most consistent players so far. Gorski, Makasqi and Karanezi have also shown glimpses of good things at times and will be also players to count on. 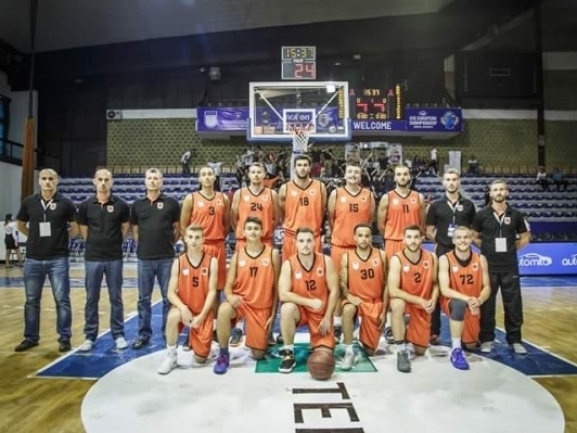 The biggest problem for Bashkimi in the first two games was the fact that the team couldn′t hold on with the tempo of their opponents for more than 25 minutes per game. That′s why it′ll be interesting to see whether the team has addressed that problem and whether they′ll show improvement tonight. Akademik Bultex 99 on the other side had a tough start to the season and needs wins in order to get through it. The team comes to Prizren with the slight advantage of having deeper bench and more international experience. The former Bashkimi player Daishon Knight returns to Prizren and his performance coupled with that of Vasil Bachev will be key for Akademik′s eventual success. Olisemeka and Vitkovic will try to hold their own under the basket and will be hoping to dominate their opponents. The YouTube link for the broadcast will be available just before the game starts.